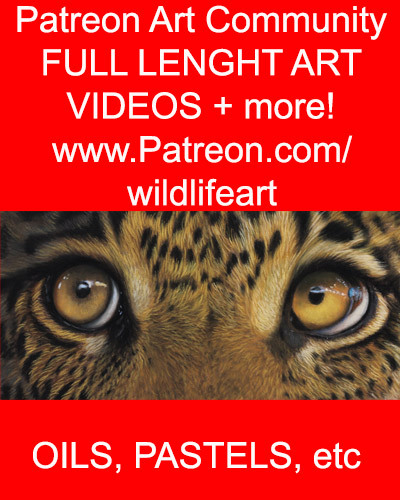 Painting from dark to light – new wildlife art oil painting video on YouTube now! Last few hours of the Original Tiger Painting auction. The low reserve has been met so the tiger painting will sell. My latest Tiger (original oil painting) is currently for sale on eBay – it just has 2 days left, so if you have always wanted to own an original oil, but never thought you could afford one, now might be your chance. I will be listing my latest small Tiger Original Painting on eBay in the next 2 days or so. The reserve will once again be very low – way below my standard gallery prices, as I continue to make a great name for myself on eBay. So you have a VERY good chance of getting this original / one of a kind painting, for a real steal! Keep an eye on my website and eBay listings page for full details and to bid / Buy. The photo below shows the Tiger painting approx 80 % finished, I still have more details to add, whiskers, colour glazes etc to bring him really to life. Well…. 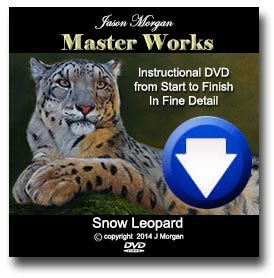 I have added the finishing touches to the Tiger in moonlight painting and also signed it, so I am calling this one done. Hope you have enjoyed watching this painting come to life over the last few blog posts.